I believe that woodworking is for everyone, so the The Weekend Woodworker creed is easy to follow . . .
You probably have some of the essential tools already, and the rest you can buy affordably. You don’t need much space. A small garage, backyard, balcony or even a rooftop will do nicely. In order to get you started, I’m giving you the plans for the Basic Mobile Workbench. It’s the first project of The Weekend Woodworker, and a fantastic first project if you’ve never built anything. That said, even experienced woodworkers will learn a thing or two from this project. It’s a sturdy, versatile workbench that takes up less space than a lawnmower. It’s a serious workhorse that I designed to be highly customizable, and you can build it in a weekend (no workbench required). Click the button below and I’ll send you the clear, easy-to-understand plans for this bench. 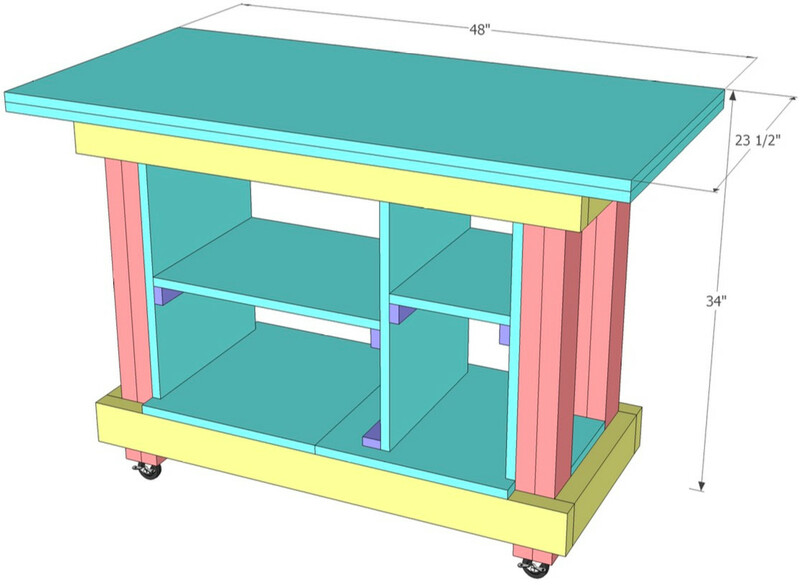 Get my plans for the Basic Mobile Workbench! As a bonus you get a detailed video walking you through the first steps of creating the workbench! © The Weekend Woodworker - Made in partnership with Course Concierge.